Prof. Bhandari is associated with the University of Queensland since 1993. He obtained his PhD from ENSIA (France) in Food Process Engineering in 1992. He has a major research focus on food materials science/engineering including microencapsulation of food ingredients, glass transition related issues in food processing and product systems and 3D printing of food materials. Professor Bhandari’s current research area also includes relating the nanostructure of food system to its bulk properties. Presently he is also exploring on the application of nanobubbles in food processing. His past and current researches involve dairy, meat, rice, honey, probiotics, oils, fat etc. Professor Bhandari’s research is not commodity focused only. His primary approach to research is applying fundamental science and engineering principles on developing a relationship between process, structure, property and performance of food materials systems. Professor Bhandari has extensively investigated various micro and nano-encapsulation processes such as spray drying, molecular encapsulation, co-crystallisation, precipitation and gel entrapment. Prof. Bhandari has developed a patented continuous method to produce microgel particles that can be used to encapsulate various functional ingredients and pharmaceutical drugs. Prof Bhandari has done a number of pioneering works on stickiness issues of food powders encountered during drying and handling. Recently Professor Bhandari has developed patented technique (filed) to produce ethylene powder which can be used for fruit ripening and other plant physiological control. Professor Bhandari has also developed stickiness testing device that enables to measure the stickiness and glass transition temperature of food material by just using texture measuring instruments. Professor Bhandari has developed strong national and international research collaborations. Professor Bhandari successfully completed a collaborative research project with Nong Lam University, in Vietnam on control of rice cracking in Mekong Delta. Professor Bhandari also completed a joint research project with National University of Singapore on glass transition mechanism in starch. In addition Professor Bhandari has also been collaborating his research activities in USA, Ireland, Vietnam, India, China and France. Professor Bhandari is an Honorary Professor of Jiangnan University, Wuxi, China and Shaanxi University, Xian, China. Recently Prof Bhandari has been awarded Australia-India Council Research grant by the Department of Foreign Affairs and Trade (Australia) to develop research collaboration with National Dairy Research Institute, Karnal, India. Professor Bhandari is also a Visiting Professor of UCSI University, Malaysia. Professor Bhandari has been awarded with several ARC-Discovery, ARC-Linkage over the years and ARC-Industrial Transformation Research Hub grant recently. He also won grants from Horticulture Australia, Rural Industries Research and Development Corporation, Dairy Australia, Cooperation for Agriculture and Research Development (CARD funded by AusAID) Program, National Meat Industry Training Advisory Council Limited (MINTRAC), Meat and Livestock Australia (MLA), Commercialization Australia and UNIQUEST. He has received more than $10M grant over the years. Professor Bhandari received "Bolaike Outstanding Drying Research Award 2017" which is a top award in recognition of his drying research in Asia-Pacific. This was awarded during The 9th Asia-Pacific Drying Conference (Sept 24-26), Wuxi, China. Thomson Reuter has listed Professor Bhandari as Highly Cited Researcher 2015 in his subject field. According to Thomson Reuter "Highly Cited Researchers 2015" represents some of world’s most influential scientific minds. Professor Bhandari received Bruce Chandler Book Award 2015 from Australian Institute of Food Science and Technology (AIFST). Professor Bhandari is the recipient of international award on “Excellence on Drying- Applying Fundamentals to Practice” in 2012. Professor Bhandari also won “Top 25 Q-index” award among more than 2500 researchers at the University of Queensland. He was also awarded Vice Chancellor’s commendation award for internationalisation of UQ. In 2015, Professor Bhandari was honored with an award by PEOPLE’S COMMITTEE OF HO CHI MINH CITY, Vietnam for his contribution to the promotion of collaborative research and education in Nong Lam University, Vietnam. He has also been awarded several “Research Excellence” awards by the School at the University of Queensland. Prof Bhandari has authored more than 300 papers including 5 co-edited books and 35 book chapters. His co-edited book “Food Materials Science and Engineering” was published in 2012 and another co-edited book on “Handbook of Food Powders: Processes and Properties” was published in 2013. The another co-edited book "Non-Equilibrium States and Glass Transitions in Foods: Processing Effects and Product-Specific Implications" was publsihed in Nov 2016. The new co-edited book "Handbook of Drying of Vegetables and Vegetable Products" has just been published in 2017. His publications are cited more than 14,000 times and in 2017 only his publications are cited more than 2100 times (Google Scholar H-index 59). Prof. Bhandari is an editor of Journal of Food Engineering, a reputed international journal in food science and engineering field. 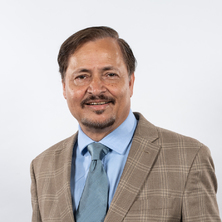 Professor Bhandari has also been in the editorial board of International Journal of Food Engineering, International Journal of Food Properties, Food Biophysics, Food Science and Human Wellness and a guest editor of Drying Technology. Professor Bhandari has earned an international reputation on his materials science based research works, in particular the glass transition related processing and quality issues of food materials. His research works on stickiness problem related to glass transition during spray drying is widely cited. His methodolgy to reduce the stickiness of product has been adapted by spray drying industries. He provides consulting services to the industries. He has also been a reputed researcher on developing new encapsulation technologies. One of his novel encapsulation technologies is to produce ethylene powder that can be safely used to ripen fruits. Commecialisation of this technology is underway. Professor Bhandari has also been active at the international scientific arena. He has been in the organizing committee of several international conferences, including International Drying Symposium, Spray drying Symposium etc. He has addressed several international conferences as a keynote and invited speaker. Non-equilibrium states and glass transitions in foods: processing effects and product-specific implications. Edited by Bhesh Bhandari and Yrjö H. Roos Kidlington, United Kingdom: Elsevier, 2017. Bhandari, Bhesh and Roos, Yrjo H. (2017). Introduction to Non-Equilibrium States and Glass Transitions-The Fundamentals Applied to Foods Systems. In Bhandari, B. and Roos, Y. H. (Ed. ), Non-Equilibrium States and Glass Transitions-The Fundamentals Applied to Foods Systems (pp. XXXIII-L) Cambridge, MA United States: Woodhead. Fang, Zhongxiang and Bhandari, Bhesh (2012). Encapsulation techniques for food ingredient systems. In Bhesh Bhandari and Yrjo H. Roos (Ed. ), Food materials science and engineering (pp. 320-348) West Sussex, United Kingdom: Wiley - Blackwell. Bhandari, B. and Adhikari, B. (2009). Glass-transition based approach in drying of foods. In Ratti,C. (Ed. ), Advances in Food Dehydration (pp. 38-62) United States: Taylor & Francis Group. Adhikari, Benu P. and Bhandari, Bhesh R. (2009). Sticky and collapse temperature: Measurements, data, and predictions. In Food Properties Handbook, Second Edition (pp. 347-380) : CRC Press. Adhikari, B.P. and Bhandari, B.R. (2009). Sticky and collapse temperature: Measurements, data, and predictions. In M. Shafiur Rahman (Ed. ), Food Properties Handbook 2nd ed. (pp. 347-379) United States: Taylor and Francis Group. Bhandari, Bhesh R., Patel, Kamlseh. C. and Chen, Xiao Dong (2008). Spray drying of food materials - process and product characteristics. In Chen, Xiao Dong and Mujumdar, Arun. S. (Ed. ), Drying Technologies in Food Processing (pp. 113-157) West Sussex, United Kingdom: Blackwell Publishing Ltd.
Bhandari, Bhesh R. and Adhikari, Benu P. (2008). Water activity in food processing and preservation. In Chen, Xiao Dong and Mumumdar, Arun, S (Ed. ), Drying Technologies in Food Processing (pp. 55-89) West Sussex, United Kingdom: Blackwell Publishing Ltd.
Bhandari, Bhesh (2007). Spray drying and powder properties. In Y. H. Hui, C. Clary, M. M. Farid, O. O. Fasina, A. Noohorm and J. Welti-Chanes (Ed. ), Food Drying Science and Technology (pp. 215-248) USA: DEStech Publications, Inc.
Bhandari, Bhesh (2007). Stickiness and caking in food preservation. In M. Shafiur Rahman (Ed. ), Handbook of Food Preservation 2 ed. (pp. 387-402) USA: Taylor and Francis. Torley, P. and Bhandari, B. R. (2007). Ultrasound in food processing and preservation. In M. Shafiur Rahman (Ed. ), Handbook of Food Preservation 2 ed. (pp. 713-740) USA: Taylor and Francis. Bhandari, B. R. and Hartel, R.W. (2005). Phase transitions during food powder production and powder stability. In Charles Onwulata (Ed. ), Encapsulated and Powdered Foods (pp. 261-292) New York: Taylor & Francis. Bhandari, B. R. (2004). Spray drying: an encapsulation technique for food flavors. In A.S. Mujumdar (Ed. ), Dehydration of Products of Biological Origin 1st ed. (pp. 513-533) Enfield, USA: Science Publishers. Truong, V., Bhandari, B. R., Howes, T. and Adhikari, B. P. (2002). Analytical model for the prediction of glass transition temperature of food systems. In Harry Levine (Ed. ), Amorphous Food and Pharmaceutical Systems (pp. 30-47) United Kingdom: Royal Society of Chemistry. Senadeera, W., Bhandari, B. R., Young, G. S. and Wijesinghe, B. (2000). Physical property changes of fruits and vegetables during hot air drying. In Arun S. Mujumdar (Ed. ), Drying technology in agriculture and food sciences 1st ed. (pp. 149-162) Enfield (NH), USA: Science Publishers, Inc..
Corrigendum to "Uses of an innovative ethylene-α-cyclodextrin inclusion complex powder for ripening of mango fruit"
Yuliani, S., Torley, P. and Bhandari, B. R. (2007) Mikroenkapsulasi d-limonen untuk perisaan produk ekstrusi. Jurnal Teknologi Industri Pertanian, 17 2: 54-60. Bhandari, B. R. (2007) Thermal Mechanical Compression Test (TMCT): A novel and simple technique for measuring the glass transition and melting temperature of solid food and non-food materials. SIFST Annual 2007, 23-26. Shrestha, Ashok K., Adhikari, Benu P., Howes, Tony E. and Bhandari, Bhesh R. (2006) Effect of lactic acid on spray drying behavior of acid-whey and study of their glass transition temperature. Journal of Food Science and Technology Nepal, 2 57-62. Krasaekoopt, W., Bhandari, B. R. and Deeth, H. C. (2003) Survival of microencapsulated probiotics in high-solids yogurt from UHT milk. The Australian Journal of Dairy Technology, 58 2: 195-195. Krasaekoopt, W., Bhandari, B. and Deeth, H. (2003) Yogurt from UHT milk: a review. Australian Journal of Dairy Technology, 58 1: 26-29. Adhikari, B. P., Howes, T., Bhandari, B. R. and Truong, V. (2002) Surface stickiness of low molecular weight sugars. Food Industry Journal, 5 2: 112-124. Adhikari, B., Howes, T., Bhandari, B. and Truong, V. (2002) Surface stickiness of low molecular weight sugars and maltodextrin during drying. Food Industry Journal, 5 2: 112-124. Bhandari, B. R. (2001) Glass transition in relation to stickiness during spray drying. Food Technology International, 64-68. Bhandari, BR and Howes, T (2000) Glass transition in processing and stability of food. Food Australia, 52 12: 579-585. Chen, T, Bhandari, BR and Redden, V (1997) Effects of process modification and heat pump drying on physical and sensory properties of Chinese style shredded beef. Food Australia, 49 9: 423-427. Bhandari, BR and DArcy, BR (1996) Microencapsulation of flavour compounds. Food Australia, 48 12: 547-551. Bhandari B.R., Senoussi A., Dumoulin E.D. and Lebert A. (1993) Spray drying of concentrated fruit juices. Drying Technology, 11 5: 1081-1092. Bhandari, Bhesh, Dahal, Deepa, Truong, Tuyen, Urrutia, Paulina and Almonacid, Sergio (2018). Predicting the crystallisation of sugar in dried raisins and honey. In: 255th National Meeting and Exposition of the American-Chemical-Society (ACS) - Nexus of Food, Energy, and Water, New Orleans, LA United States, (). 18-22 March 2018. Yim, W. T., Bhandari, B., Jackson, L. and James, P. J. (2015). Tea tree oil formulations for cattle tick (Rhipicephalus microplus) control. In: Proceedings of TropAg2015. TropAg2015, Brisbane, Australia, (164-165). 16-18 November 2015. Ho, B. T., Bhandari, B. R., Joyce, D. C. and Hofman, P. J. (2013). Ethylene gas from an ethylene-α-cyclodextrin inclusion complex powder ripens 'Calypso' mango fruit. In: H. Abdullah and M.N. Latifah, Proceedings of the VIIth International Postharvest Symposium. 7th International Postharvest Symposium (IPS 2012), Kuala Lumpur, Malaysia, (331-336). 25 - 29 June 2012. Burey, P., Bhandari, B., Howes, T. and Gidley, M. (2008). Processing-Structure-Property Relationships in Biopolymer Gel Particles. In: Peter A. Williams and Glyn O'Phillips, Proceedings of the Gum and Stabilisers for the Food Industry 14. 14th Gums and Stabilisers for the Food Industry Conference, Wrexham, UK., (53-59). 18-22 June, 2007. Burey, P., Bhandari, B., Howes, T. and Gidley, M. (2008). Processing-structure-property relationships in biopolymer gel particles. In: Gums and Stabilisers for the Food Industry 14. 2007 14th Gums and Stabilisers for the Food Industry Conference, , , (53-60). June 18, 2007-June 22, 2007. Burey, P., Bhandari, B. R., Howes, T. and Gidley, M. (2007). Controlled production and characterisation of biopolymer gel particles. In: CHEMECA 2007 - Academia and Industry Strengthening the Profession. CHEMECA 2007, Melbourne, Victoria, (415-421). 23-26 September 2007. Ramesh, Sukha, P., Bhandari, Bhesh, Howes, Tony and Gidley, Mike (2006). Self-assembly of biopolymer gel networks within hydrating particles. In: Proceedings of the 5th World Congress on Particle Technology. 5th World Congress on Particle Technology, Lake Buena Vista, Florida, U.S., (). 23-27 April, 2006. Adhikari, B P, Howes, T, Shestha, A and Bhandari, B R (2006). Sticky behavior of whey protein isolate and lactose droplets during convective drying. In: Fifth World Congress on Particle Technology. Fifth World Congress on Particle Technology, Florida, USA, (1-10). 23-27 April 2006. Shrestha, A. K., Howes, T., Adhikari, B. P. and Bhandari, B. R. (2005). Glass transition and crystallization behaviour of lactose in spray dried mixtrues of hydrolyzed whey protein and lactose. In: A.B. Datta, K.M. Kundu and G.P. Sinha, 4th Asia Pacific Drying Conference (ADC 2005). Workshop on Drying of Food & Pharmaceuticals, Kolkata, India, (1119-1127). 13-15 December, 2005. Shrestha, Ashok K., Howes, Tony, Adhikari, Benu P. and Bhandari, Bhesh R. (2005). Glass transition approach to explain the stickiness of acid-whey during spray drying. In: 37th Annual AIFST Convention. 37th Annual AIFST Convention, Darling Harbour, Sydney, (). 10-13 July 2005. Bhandari, B. R. (2005). Glass transition related phenomenon in solid dried foods. In: A.B. Datta, K.M. Kundu and G.P. Sinha, 4th Asia Pacific Drying Conference (ADC 2005). Workshop on Drying of Food & Pharmaceuticals, Kolkata, India, (175-183). 13-15 December 2005. Jafari, S., He, and Bhandari, B. R. (2005). Optimization of nano-emulsion production by sonication and microfluidization. In: M. Hardin, Conference Proceedikngs of Chemeca 2005. Chemeca 2005, Brisbane, Australia, (1-5). 23-25 September 2005. Ramesh Sukha, P., Halley, P. J., Torley, P., Rutgers, R. P. G., Bhandari, B. R. and Scuderi, M. (2004). Confectionery gels - structure - property interactions leading to desirable consumer products. In: 37th Annual Conference of the Australian Institute of Food Science & Technology. 37th Annual Conference of the Australian Institute of Food Scy, Brisbane, Australia, (1-1). 25-28 July 2004. Ramesh Sukha, P., Halley, P., Torley, P., Rutgers, R., Bhandari, B. and Scuderi, M. (2004). Confectionery gels: Structure-property interactions leading to desirable consumer traits. In: Food Australia. Proceedings of: 37th Annual Australian Institute of Food Science and Technology Convention and Exhibition. 37th AIFST Convention and Exhibition, Brisbane, Australia, (). 25-28 July 2004. Boonyai, P., Bhandari, B. R. and Howes, T. (2004). Development and testing of a static mechanical test device for measuring glass transition of amorphous food powders. In: M.A. Silva and S.C.S. Rocha, Drying 2004 - Proceedings of the 14th International Drying Symposium (IDS 2004). Drying 2004, Sao Paulo, Brazil, (1461-1467). 27-29 August 2004. Ramesh Sukha, P., Halley, P. J., Torley, P., Rutgers, R and Bhandari, B. R. (2004). The relationship between rheology and microstructure of starch/sugar/gelatin/gels. In: 7th International Hydrocolloids Conference. 7th International Hydrocolloids Conference, Melbourne, Australia, (1-38). 29 Aug - 1 Sept 2004. Edi-Soetaredjo, F., Torley, P., Rutgers, R. P. G. and Bhandari, B. R. (2003). Analysis of a slit die rheometer: Predicting product flow and dimensions through numerical simulation. In: Third International Conference on CFD in the Minerals Process Industries. Third International Conference on CFD, CSIRO, Melbourne, Australia, (397-402). 10-12 December 2003. Sukha, Paulomi R., Rutgeral, Rulande, Bhandari, Bhesh and Scuderi, Michael (2003). Rheological and microstructural changes of starch/sugar/gelatin gels as a function of processing. In: Proceedings of the 3rd International symposium on food rheology and structure, February 9-13 2003, Zürich, Switzerland. 3rd International Symposium on Food Rheology and Structure, Zurich, Switzerland, (595-596). 9-13 February, 2003. Krasaekoopt, W., Kew, S. Y., Bhandari, B. R. and Deeth, H. C. (2002). Characterization of texture development of yogurt from UHT milk during fermentation. In: V.K. Jindal, Proceedings of the International Conference on Innovations in Food Processing Technology and Engineering. Intnl Conf on Innovations in Food Processing Tech & Eng, AIT, Bangkok, (355-363). 11-13 December, 2002. Boonyai, P., Bhandari, B. R. and Howes, T. (2002). Development of a novel testing device to characterize the sticky behavior of food powders - a preliminary study. In: V.K. Jindal, Proceedings of the International Conference on Innovations in Food Processing Technology and Engineering. Intnl Conf on Innovations in Food Processing Tech & Eng, AIT, Bangkok, (809-816). 11-13 December, 2002. Krasaekoopt, W., Bhandari, B. R. and Deeth, H. C. (2002). Effect of coating materials on the survival of microencapsulated probiotic bacteria in alginate beads. In: Beyond Commodities: the food tech revolution; Program & Abstracts, 35th Annual AIFST Convension. Beyond Commodities: the food tech revolution, Sydney, NSW, (54-54). 21-24 July, 2002. Bhandari, B. R. and Howes, T. (2002). Glass transition relation to stickiness during spray drying. In: V.K. Jindal, Proceedings of the International Conference on Innovations in Food Processing Technology and Engineering. Intnl Conf on Innovations in Food Processing Tech & Eng, AIT, Bangkok, (405-418). 11-13 December, 2002. Sopade, P. A., Darcy, D., Halley, P. J., Bhandari, B. R. and Caffin, N. A. (2001). A Study of the Vitrification of Australian Honeys at Different Moisture Contents. In: The Amorphous State: A Critical Review. The Amorphous State: A Critical Review, Cambridge, U.K., (). 15-17 May. Eggshell quality of caged laying hens given drinking water maintained at 20-26oC in normal and high ambient temperatures and given feed without or with barnyard grit or eggshell - 49. Tangkere, E., Bhandari, B. R. and Dingle, J. G. (2001). Eggshell quality of caged laying hens given drinking water maintained at 20-26oC in normal and high ambient temperatures and given feed without or with barnyard grit or eggshell - 49.. In: Associate Professor D. Balnave (Chair), Proceedings 2001 Australian Poultry Science Symposium. 2001 Australian Poultry Science Symposium, University of Sydney, Sydney, NSW, (228-231). February 2001. Tangkere, E., Bhandari, B. R. and Dingle, J. G. (2001). Eggshell quality of caged laying hens in different ambient temperatures given drinking water of different temperatures. In: Associate Professor D. Belnave (Chair), Proceedings 2001 Australian Poultry Science Symposium. 2001 Australian Poultry Science Symposium, University of Sydney, Sydney, NSW, (224-227). February 2001. Sopade, P. A., Halley, P. J., Bhandari, B. R., Darcy, D. and Caffin, N. A. (2001). Steady-state rheology of Australian Honeys at sub-zero temperatures. In: 34th Annual Conference of the Australian Institute of Food Science & Technology. 34th Annual Conference of the Australian Institute of Food Sc., Adelaide, (). 1-4 July. Adhikari, B. P., Howes, T., Bhandari, B. R. and Truong, V. (2000). Drying behaviour of drops of low molecular weight sugars. In: Abstracts 33rd Annual AIFST Convention. 33rd Annual AIFST Convention, Brisbane, Brisbane Convention Centre, (29). 20-23 August, 2000. Bhandari, B. R. and Howes, T. (2000). Drying of sticky material - relevance to drying behaviour. In: Proceedings of International Food Dehydration Conference - 2000 and Beyond. International Food Dehydration Conference - 200 and Beyond, Melbourne, (8.1-8.12). 29-30 March, 2000. Tangkere, E. S., Bhandari, B. R. and Dingle, J. G. (2000). Effect of hot weather on the egg production and egg quality of caged and barn laying hens. In: J. G. Dingle, Queensland Poultry Science Symposium 2000. Research - how is it working for you?, Gatton, The University of Queensland, (1-9). 14 September 2000. Truong, V., Bhandari, B. R., Adhikari, B. P. and Howes, T. (2000). Effect of thermal history on the glass transition termperature of organic acids and sugars. In: Abstracts 33rd Annual AIFST convention. 33rd Annual AIFST Convention, Brisbane, Brisbane Convention Centre, (41). 20-23 August, 2000. Tangkere, E. S., Smith, C., Bhandari, B. R. and Dingle, J. G. (2000). Egg quality of caged and free range hens given three holistic treatments. In: J. G. Dingle, Queensland Poultry Science Symposium 2000. Research - how is it working for you?, Gatton, The University of Queensland, (1-7). 14 September 2000. Senadeera, W., Bhandari, B. R., Young, G. S. and Wijesinghe, B. (2000). Fluidisation characteristics of different shaped food particulates during drying. In: Abstracts 33rd Annual AIFST Convention. 33rd Annual AIFST Conference, Brisbane, Brisbane Convention Centre, (53). 20-23 August, 2000. Bhandari, B. R., Truong, V. and Padukka, D. (2000). Sorption isotherms of b-cyclodextrin-flavour complex power. In: Abstracts 33rd Annual AIFST Convention. 33rd Annual AIFST Convention, Brisbane, Australia, (61). 20-23 August, 2000. Senadeera, W., Bhandari, B. R., Young, G. S. and Wijesinghe, B. (1999). Change in physical properties of green peas during fluidised bed drying. In: K. Abdullah, A. H. Tambunan and A. S. Mujumdar, Proceedings of the First Asian-Australian Drying Conference (ACD'99). First Asian-Australian Drying Conference, Bali, Indonesia, (164-172). 24-27 October 1999. Senadeera, W., Bhandari, B. R., Young, G. S. and Wijesinghe, B. (1999). Dimensional changes of different shaped food particulates during drying. In: 10th World Congress of Food Science & Technology: Abstract Book. 10th World Congress of Food Science and Technology, Sydney, (88). 3-8 October 1999. Johnston, M. E., Joyce, D. C., Bhandari, B. R., Moncada, B. and Vuthapanich, S. (1999). The effect of different relative humidities and packaging treatments during storage on the outturn quality of glycerined Stenanthemum cut flowers. In: A. Slater, Proceedings of the Fifth Australian Wildflower Conference. New Flowers, Products and Technologies, Calton Crest Hotel, Melbourne, (91-94). 14-17 Apr, 1999. 13th World Congress of Food Science & Technology - Food is Life (2006) . Edited by Y. Liu, W. Zhou and B. R. Bhandari. 13th World Congress of Food Science & Technology, 17-21 September 2006, Nantes, France. Australian National Science Graduate Conference Abstract and Paper Book (2006) . Edited by S. Jafari, Y. He and B. R. Bhandari. Asia Pacific Nanotechnology Forum, 26-28 May 2006, Sydney, Australia. Bhandari, Bhesh and Ho, Binh Thanh (2014). Encapsulation of gases within cyclodextrins. WO 2014/056035 A1. Bhandari, Bhesh (2009). Device and method for preparing microparticles. PCT/AU2008/001695. Academic staff position to carry out dairy-related research. Functionable Renewable Plastics: Developing Novel Polysaccharide, Protein and Natural Polyester Based Polymer Nanocomposites. (2005–2006) Dairy Ingredients Group of Australia Ltd.
(2004–2006) Dairy Ingredients Group of Australia Ltd.
Properties of encapsulated composite alginate microgel particales. Understanding the mechanism and factors affecting the surface composition of powder particles containing proteins during spray drying.